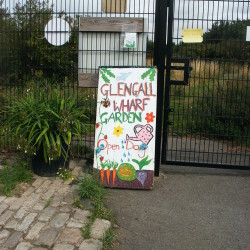 The Glengall Community Garden was build on an abandoned pallet store which abutted the former Surrey Canal. The latter is now filled in, but you can walk from Peckham along the course of the canal, following it under bridges and into Burgess Park. You can read a bit more about the history of this little corner of Peckham here. 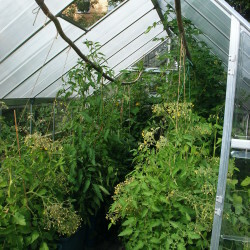 We first had a nosey round the garden when the lovely Penny Pickle took us foraging. 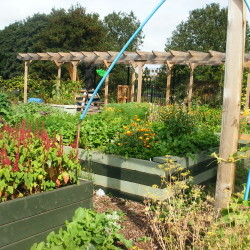 The idea behind the garden, which was largely started by a lady called Sue Amos, is to offer all the benefits of having an allotment to the whole community (rather than just a lucky elite few). 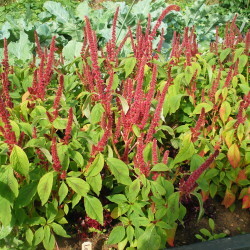 Interested residents can volunteer to become involved, and in exchange they get to enjoy some of the produce. A brilliant, simple idea. 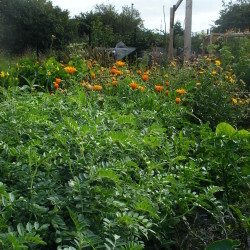 No previous knowledge of gardening is necessary: professionals and organisers are on hand to teach and guide, and the garden runs courses in everything from bee-keeping to permaculture (which is the sustainable principle on which the plot is founded, but no – we didn’t know what it meant either). 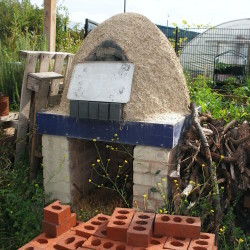 The plot boasts such eco-friendly features as a compost loo, hugelkultur growing beds and a clay and straw oven. 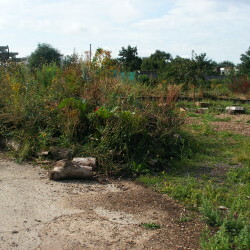 It manages to be perfectly organised whilst giving the impression of being a vaguely overrun wild flower garden. It is rare to find such complete serenity in the inner city: we highly recommend a visit on one of their open days. 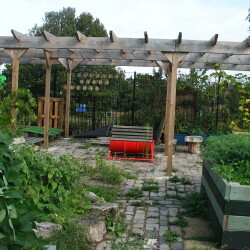 ‘Grown in Peckham’ is an initiative within the garden to harvest and sell certain vegetables to local businesses. 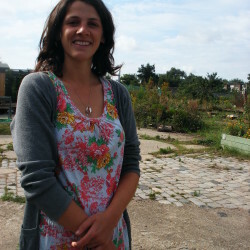 It is once again run by volunteers (under the guidance of chief garden fairy Charlotte, pictured above), who gather every Thursday to tend and harvest the relevant beds, and later distribute the produce gathered therein. Mrs. Shopkeeper is notoriously brown-fingered, but frankly even she can see the allure of pottering in this lovely lovely patch of Peckham, with trilling larks and murmurous bees for company. Want to get involved? Click here for more details. 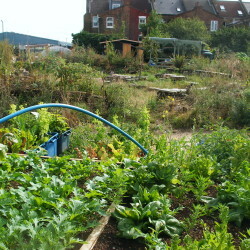 Most importantly, keep buying our lovely fruit and veg so that we can sustain and grow that section in our shop.